Is CPR effective on a moving boat? A quasi-experimental simulation trial was conducted in Tenerife in the Canary Islands to determine whether good-quality CPR can be delivered on a moving rescue boat. A study has found that surf-lifeguards can deliver good-quality cardiopulmonary resuscitation (CPR) even on a moving inflatable rescue boat, but their efforts are less effective than onshore. The European Resuscitation Council Guidelines for Resuscitation 2015 offered advice about rescue from potential drowning incidents and starting early CPR to improve survival rates. 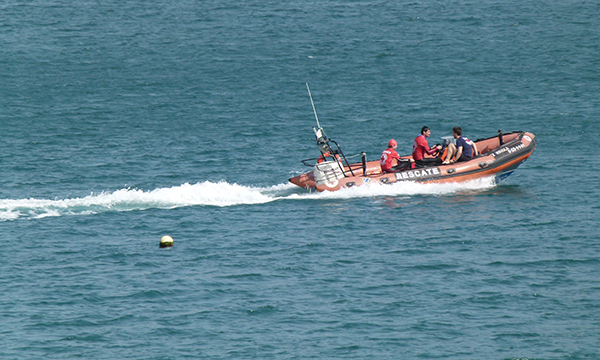 Currently, the recommendations do not cover full basic life support in a rescue boat. A quasi-experimental simulation trial was conducted in Tenerife in the Canary Islands. Ten surf-lifeguards were asked to perform two-minute CPR on manikins in four different scenarios: onshore; adrift; sailing at five knots; and sailing at ten knots. CPR was assessed by means of a CPRmeter, a device that assesses the quality of compressions and located on the standard manikin. Differences between the scenarios were assessed by repeated measures analysis of variance. Best results were obtained onshore and dropped slightly but significantly when the boat was adrift. Performance fell again when the boat was sailing at full speed. Nonetheless, the researchers conclude that although CPR carried out on a moving life boat is affected by speed, trained lifeguards can deliver good-quality resuscitation as the rescue boat is heading to land. Barcala-Furelos R, Abelairas-Gomez C, Palacios-Aguilar J (2017) Can surf-lifeguards perform a quality cardiopulmonary resuscitation sailing on a lifeboat? A quasi-experimental study. Emergency Medicine Journal. 34, 370-375.